Internet Freedom or Software Piracy? It's sometimes said that bad news always comes in threes? Whether this old wives' tale is true or not the computer world has lost a few interesting characters in recent weeks. Internet freedom activist Aaron Swartz who helped create Reddit and RSS was found dead last Friday in his New York apartment. The brilliant and controversial 26 year old internet prodigy apparently took his own life a few days after US Federal prosecutors insisted that he go to prison for allegedly committing computer fraud by downloading millions of articles from JSTOR, the MIT academic database. Swartz, who suffered from depression, faced up to 35 years in prison if found guilty of the charges. 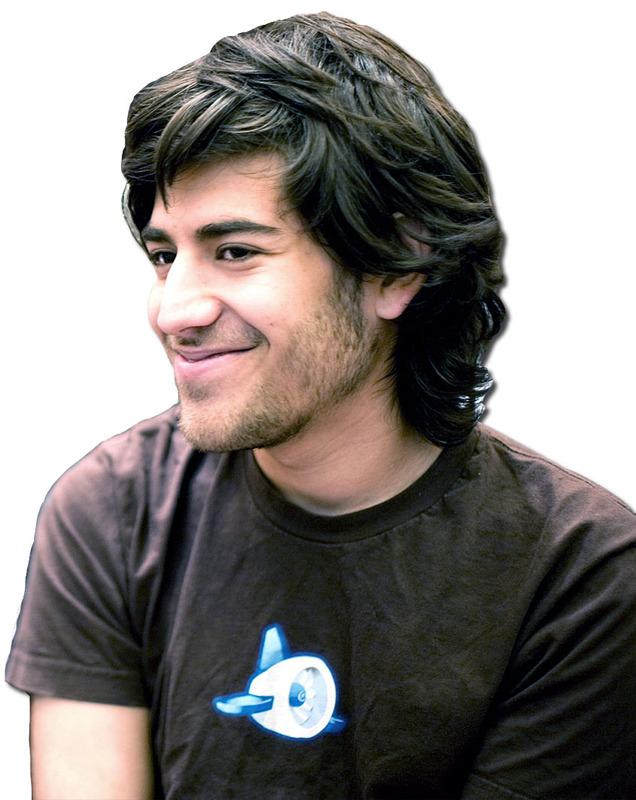 Forever the activist, Swartz also founded Demand Progress an organisation which worked to prevent the US SOPA (Stop Online Piracy Act) from becoming law and encouraged hactivist groups to carry out D.O.S. attacks to protest both SOPA and the US Department of Justice's shut-down of Megaupload (see below). His family claim he was hounded to his death by a “criminal justice system rife with intimidation and prosecutorial overreach”, which was bent on making an example of him. At his funeral, Tim Berners-Lee, the father of the World Wide Web told a newspaper, "We felt the indictment was nonsense and that he would be acquitted,". Whether you regard Swartz as a hero of free speech or a digital villain it sad to see a talented life, full of potential extinguished at such a young age. 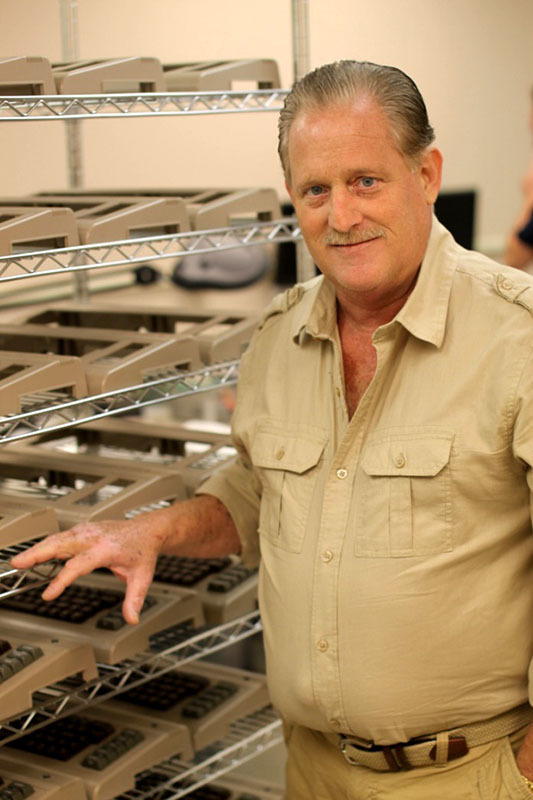 Closer to home, Barry Altman, the founder of Commodore USA LLC, also passed away last month at the age of 63 after losing a year long battle with cancer. 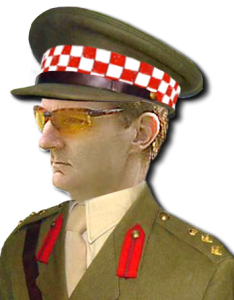 His company, Commodore USA, which is based in Pompano Beach, Florida, licensed the Commodore brand from Commodore Licensing BV and certain aspects of the Amiga brand from Amiga, Inc in 2010. 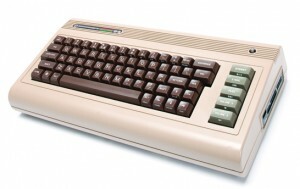 Although his marketing strategy and early public statements caused some confusion with the existing Commodore and Amiga communities he successfully masterminded the production of several PC based systems under the Commodore brand including the Commodore64x, an Intel x86 based PC that was built to resemble the original C64 “bread box” case design. 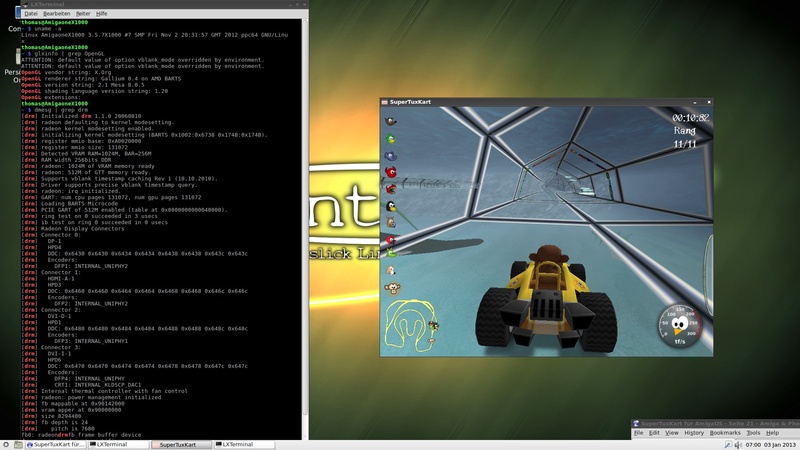 The machine was originally shipped with Ubuntu 10.10 before Commodore USA released Commodore OS Vision, a heavily customised version of GNU/Linux Mint. 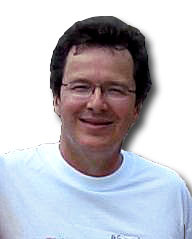 Meanwhile the Amiga community also lost one of it's leading technical gurus when DCE founder and Managing Director Thomas Dellert passed away on January 7th after suffering from a serious illness. 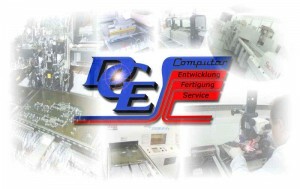 In 1987 Dellert founded DCE Computer Service GmbH in Oberhausen, Germany as a service shop for wholesale dealer and consumer markets. 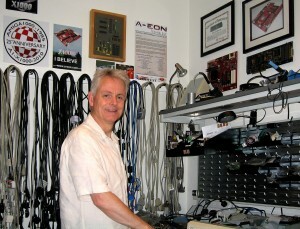 His company quickly evolved into a leading Amiga repair shop and in 1993 was nominated by Commodore as the European Amiga Repair Service Centre. 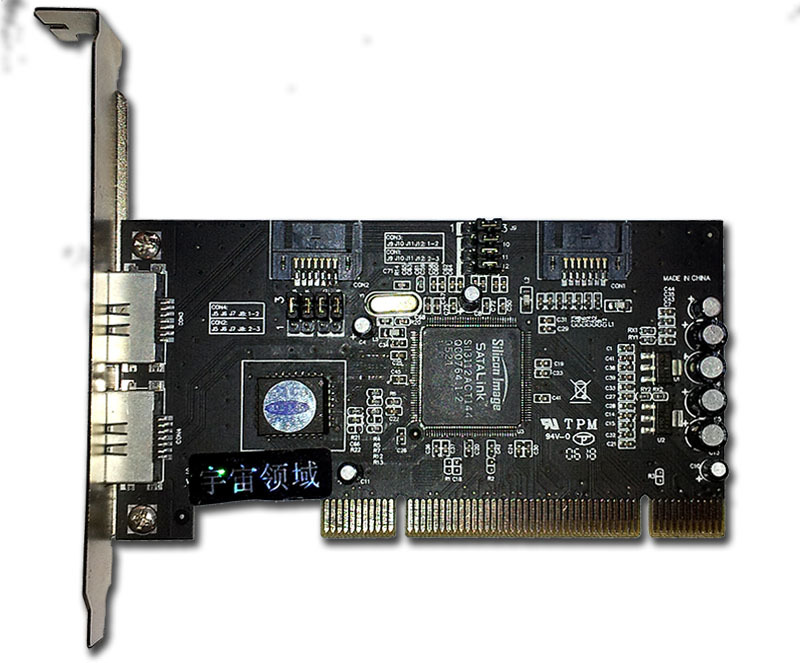 After Commodore's demise DCE continued to develop numerous expansion options for Classic Amigas including the SX32, various G-Rex PCI busboards and the ScanMagic flicker fixer, etc. 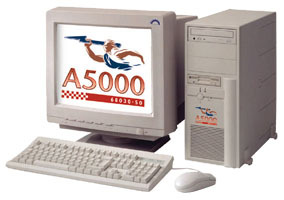 DCE also collaborated with Power Computing for plans to develop the A5000 and A6000 Amiga clones based on an advanced A4000 motherboard under Amiga Technologies, Powered by Amiga initiative. Unfortunately neither model was released as a commercial product. However, in April 1999, prior to Phase 5's liquidation, DCE bought the licenses to manufacture Phase 5's range of Amiga PowerPC accelerators and graphics cards under it's own name. I even have a couple of DCE manufactured Cybervison 64/3D boards in my own collection. DCE also worked closely with bPlan on the production of the Pegasos I & II systems for Genesis. All that's remains to be said is R.I.P. 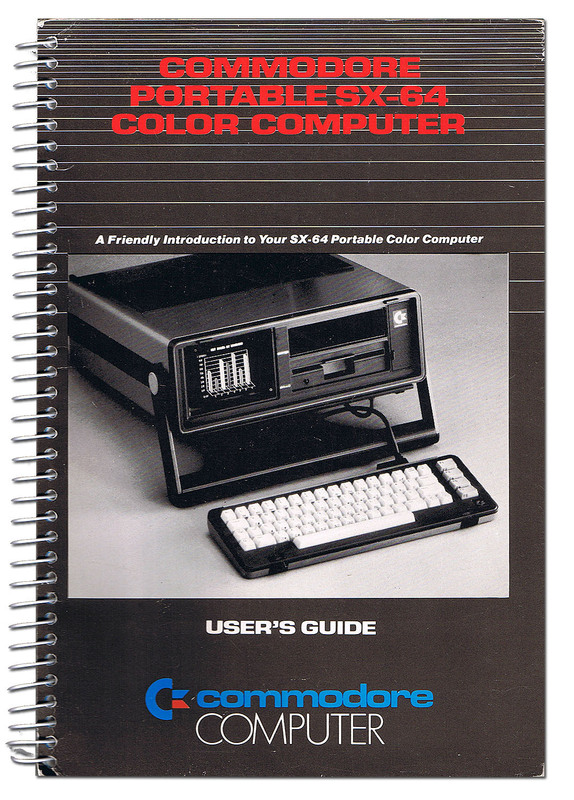 On a happier note, January marks the 30th anniversary of the SX-64, Commodore's all-in-one "luggable" computer which was based on the C64. Also known as the Executive 64 and sometimes the VIP-64 in Europe, the SX-64 was also the first full colour portable computer. 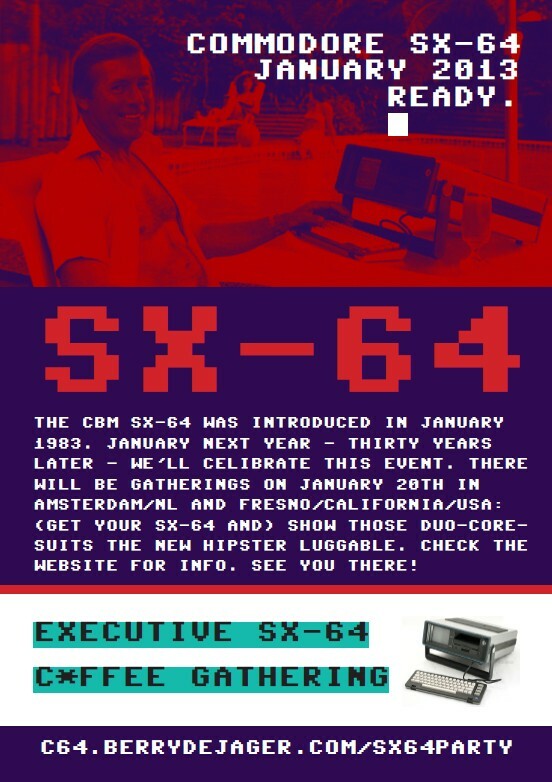 To celebrate the event Dutch Commodore enthusiasts Berry de Jager is urging SX-64 owners to organise SX-64's gatherings at their local coffee shops to expose the modern world to the wonders of portable computing - 1980's style :-). 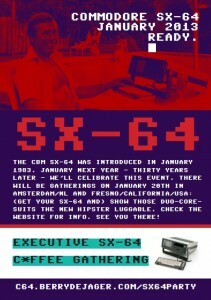 At the time of writing SX-64 events, which commenced on January 20th, are being planned by user-groups in the Netherlands, France, USA and Canada. 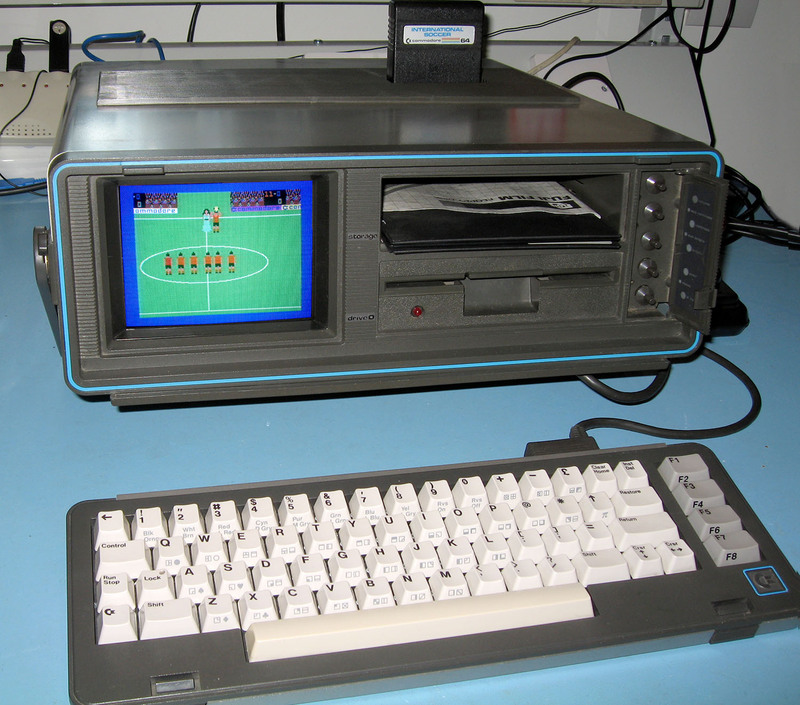 I performed my own homage to the SX-64 in New Zealand by plugging in the Commodore International Soccer cartridge and challenging the SX-64 to a sudden death one-off match at Level 9. After a shaky start I managed to win the game 4-2. It's good to know that all the hours of practice I put in with my original C64 in the early 1980's really paid off! 😉 I remember when I finally beat the C64 at Level 9. I was one-nil up and under extreme pressure. Suddenly I broke away and scored a second goal with 25 seconds left to play. Knowing that the C64 could not score 2 goals in the time remaining I simply dropped the joystick and performed a celebratory dance around the room. Ah, victory never tasted so sweet! 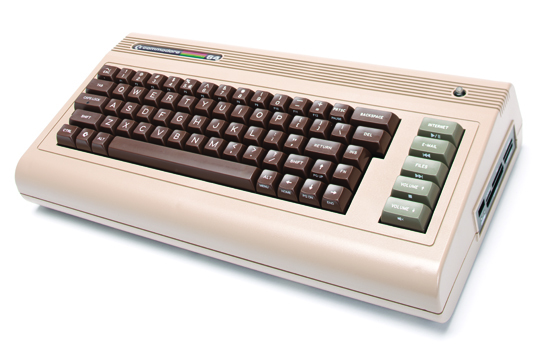 Ahem, of course I used my C64 for more serious applications as well! 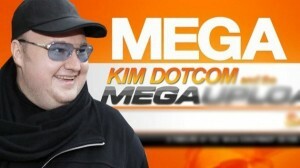 Internet millionaire, New Zealand resident and FBI fugitive Kim Dotcom, the founder of Megaupload, the file hosting service which was shut-down by the US authorities last year after Dotcom was arrested on copyright and racketeering charges has taken a leaf out of the “Willy Wonka” play book. 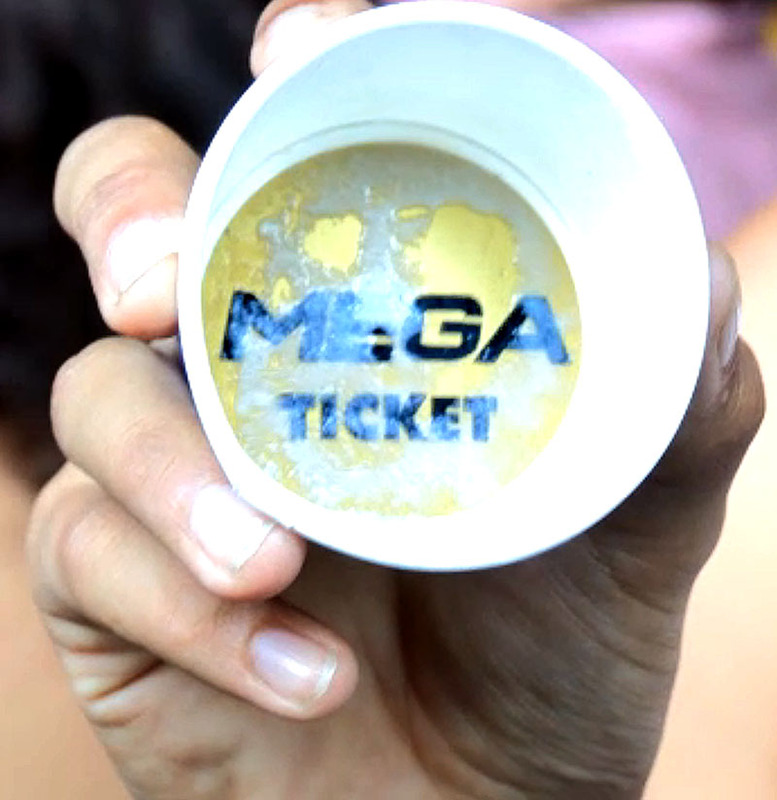 To promote Mega.co.nz, his new file-locker web hosting service, he took over the Giapo Ice Cream Parlour on Auckland's Queen Street to distribute free tubs of Mega ice cream and T-shirts to a large and enthusiastic crowd. However, as a publicity stunt ten of the ice creams tubs contained Mega's own golden ticket which entitled the winner to attend the official Mega.co.nz launch party which was held at Dotcom's Coatesville mansion on January 20th, the anniversary of the FBI backed raid on his NZ$30M north Auckland home. The raid, which formed part of a coordinated string of linked raids across the world, masterminded by the FBI, to take down Dotcom's empire before a planned IPO which would have seen Megaupload listed publicly with a value in excess of US$2.6 billion. 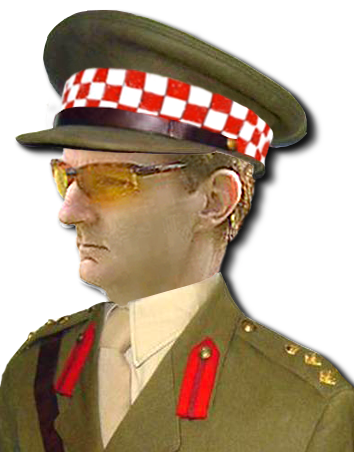 At it's peak Megaupload carried 4 percent of global Internet traffic earning an estimated $25 million a year from advertising and another $150 million through its paid, faster, unlimited Premium service. The trouble was Hollywood and the Entertainment industry claimed the earnings were made off stolen movies, songs, videogames, books and software. 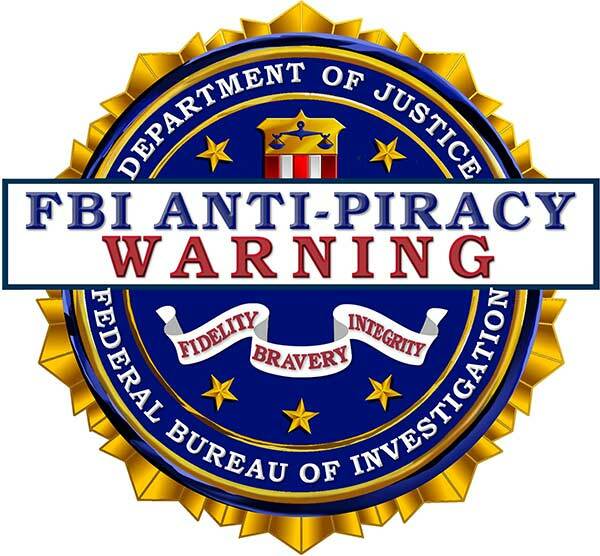 The FBI agreed with them and shutdown Dotcom's Megaupload webserver. Despite, facing an extradition hearing in August this year, which, if successful would see him sent back to the United States to face numerous internet piracy charges, Dotcom has launched his new Mega venture. In a recent publicity statement he said, "In the dark ages enemies of progress burned books, now today they are burning websites. Mega is going to be the website to end all that.” "He added, “The new Mega file-locker site will provide a secure place for internet users to store and access files, but will offer much more than Megaupload”. Mega promises a revolution in online privacy with one-click encryption for every user, creating an online data haven for internet users which will lock secrets away from the prying eyes of the world and presumably Hollywood and government agencies. Whether Kim Dotcom is a modern day Robin Hood and champion of internet freedom or merely a digital pirate out to make a quick buck off other peoples work I'm sure we haven't heard the last of this larger-than-life character. 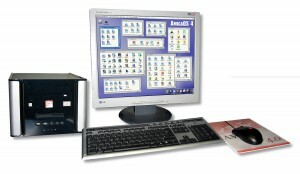 When I acquired my first Next-generation Amiga back in late 2004, a Micro A1-C housed in an Antec Aria case, I quickly discovered it was remarkable little machine but unlike the Amiga's heyday there was dearth of quality software for AmigaOS 4.0 which was still a pre-release version at that time. Initially I tried to generate interest on AmigaWorld.net in creating a sinking fund to support the development of critical software needed to make the AmigaOS 4.0 more attractive to a wider audience. Eventually I decided to create and fund my own Hardware Loan scheme to put Next-generation Amiga's into the hands of talented developers. I contacted Eyetech and Troika to purchase new hardware and reached agreement with Hyperion Entertainment for support of developers I managed to sign up to the Loan scheme. I received a tentative quotation from Alan Redhouse of Eyetech, but as luck would have it, although it not made public at the time, he was about to leave the Amiga scene and unfortunately Troika's hardware never materialised. To get the ball rolling I began purchasing used A1-XE's , Micro A1-C's and Pegasos II systems and motherboards off the internet and sent them to AmigaKit for refurbishment and rebuild. It was a slow start but picked up when ACube brought out their Sam440ep machines. In all I've probably donated/loaned 16 or 17 systems over the past 7 or 8 years. 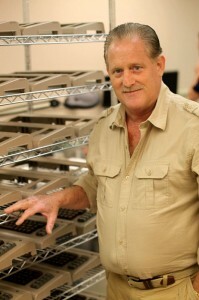 Recipients of my loan hardware have been many and varied and have included developers like AmigaOS 4 Team Lead, Steven Solie and even Carl Sassenrath, the creator of the Amiga's multitasking OS kernel. 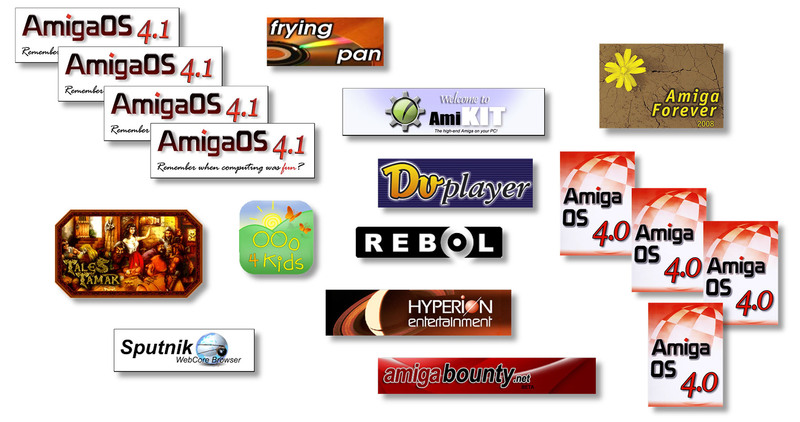 Fortunately, over the years bounty schemes have now been created for all Amiga flavours to help promote and support software development, including AmigaBounty.net of which I am one of the moderators. However, my Hardware Loan scheme is still going strong and at this moment in time I have two system (an A1-XE and a Sam440ep) available to loan out to needy developers. So if there are any AmigaOS 4 developers who are in need of a loaner machine please make contact by sending an email to me at contact (at) a-eon.com. It's always good to hear positive remarks from independent, third parties. Recently A1-X1000 owner, Guillaume Boesel (aka zzd10h) posted a question on the Linux MintPPC forum about using two graphics cards in his A1-X1000 under MintPPC. Guillaume had installed a Radeon 9250 card alongside his Radeon HD6670 for use under AmigaOS 4. However, he discovered that the presence of the Radeon 9250 card affected the 2D/3D graphics performance of the RadeonHD 6670 under MintPPC 11. He posted a request for help on the MintPPC forum and following advice from @rkmugen, another forum poster, was able to to get 2D/3D working under MintPPC 11 with both graphics cards installed. 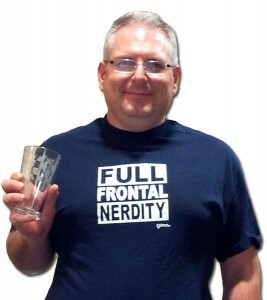 He posted his glxgears test results to the MintPPC forum which elicited the following response from @rkmugen. 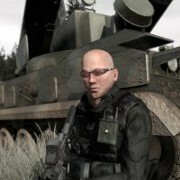 "HOLY C**P, those are some sweet FPS numbers! Congrats on getting both cards working... simultaneously! Better still, Jeroen Diederen (aka Linuxopjemac), the creator of MintPPC 11, commented in the same thread, "Very well done and indeed, those glxgears numbers are even better than my pretty recent MacBook 2,1 ! Congratulations!" 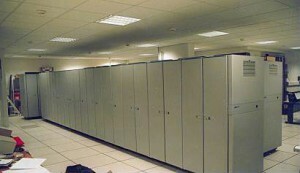 Liberating Office : A1-X1000 style! Thomas Frieden, the freelance software developer and core AmigaOS guru who is porting Libre Office to AmigaOS 4 recently sent me a progress update report. Although this is a long term project he is making excellent progress and has finally reached the VCL, the visual components library, which is basically the abstraction of the window system, widgets, user input etc. I remember the days of trying to cram multiple expansion cards and HDDs into my overheating A4000 desktop and eventually, like so many others, I ended up performing a tower conversion to gain the extra space and cooling. 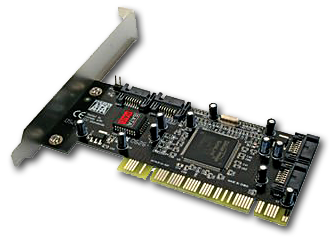 About 7 years ago when I acquired my first Next- Generation Amiga, an A1-XE, I also purchased a Sil3112 Serial ATA (SATA) controller card. Although it was not possible to directly boot AmigaOS 4 from the Sil3112 controller I wanted the option of using the much faster SATA HDDs. However, compared to my A4000, the A1-XE was more than fast enough and I never got around to installing the Sil3112 card. Fast-forward to November 2012. 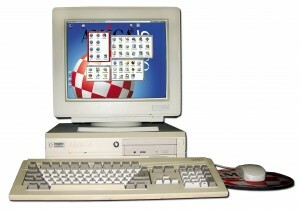 The AmigaONE X1000 was designed as a truly expandable machine for Amiga power users and hobbyists. Remembering my A4000 experience I wanted it to be able to easily accommodate all the extra cards and HDDs that I might throw at it. As a beta tester I have multiple versions of AmigaOS 4.1 installed on my A1-X1000. At the very least, this includes the latest beta releases, a clean copy of the current official version and my stable AmigaOS 4.1 beta installation...plus several backups. 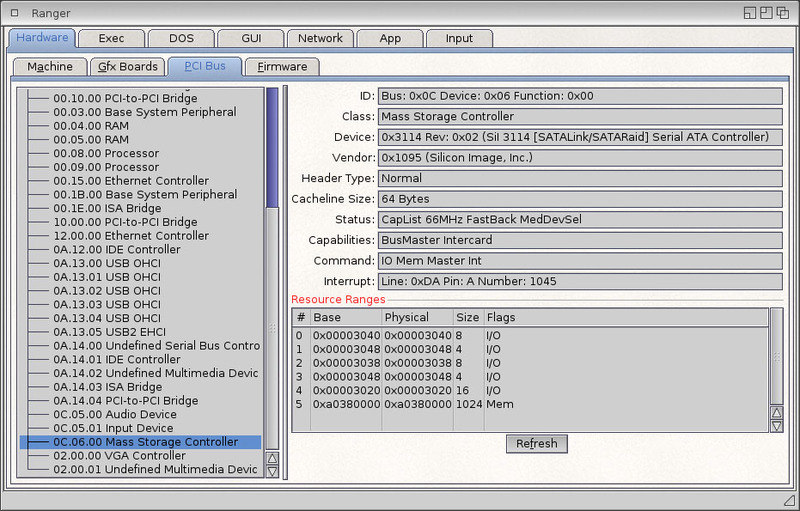 Also, as I maintain the GNU/Linux installation guide, I have up to 12 PowerPC Linux distributions installed on a variety of media from SATA HDDs, external USB HDDs, USB pen drives and even an IDE HDD carrier. However, I digress. To my pleasant surprise the Sil3112 card worked out of the box and before long I had installed Debian Wheezy on the SSD and a full back-up of my working AmigaOS 4.1 system on the HDD with both devices running at full DMA speeds. All was well for a couple of weeks until I rebooted my machine following the installation of another round of OS 4.x beta updates. On reboot my Sil3112 card was not recognised? Obviously, I thought, something in the update was causing problems. Not so! After reversing the beta test updates, thank goodness for Simon Archer's AmiUpdate & System Rollback utility, the problem still remained. The Sil3112 card was visible in Ranger but any attempt to access the card via IDETool caused a "Grim Reaper". To eliminate any potential AmigaOS 4.1 issues I attempted to boot Debian Wheezy from the SSD but again the card was not recognised. 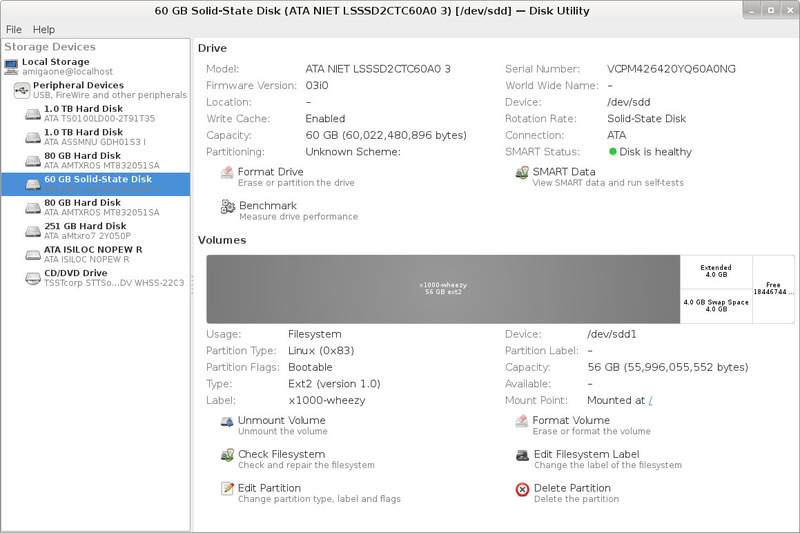 I then booted into MintPPC from another SATA HDD but still the card was not detected. After seeking the helpful advice from other beta testers I decided the card must have failed. However, this was not before I had removed every HDD, unplugged every cable and reseated every internal card and Ram module. Of course this had no effect but some old Amiga habits die hard. 😉 As a final test I transferred the Sil3112 card to a Micro A1-c and confirmed that the card was indeed faulty. I managed to track down a SATA 3114 PCI 4-port controller to replace the faulty Sil3112 card and I'm pleased to report that this card also worked out of the box and the new HDDs are back up and running. 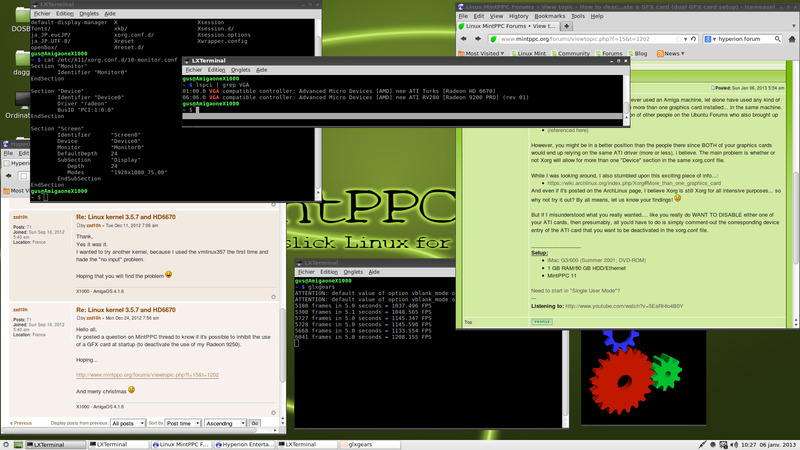 The card was correctly reported by Ranger in AmigaOS 4 and eight devices were recognised by GParted in Debian Wheezy. The only question now is what can I install on the extra two SATA ports? 😉 Incidentally, the PCI-e version of the Sil3114 card also works fine in the A1-X1000. There's a hole in my bucket? 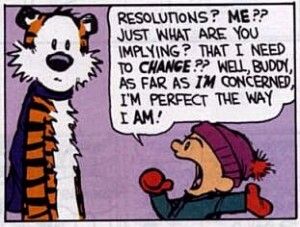 Do you notice that sometimes when you try to solve one problem you often create several more? When I decided to test the Sil3112 card in my Micro A1-C the first thing I discovered was the internal 3V lithium coin cell battery in the Micro had died. This manifested itself as a blank screen with no other sign of life when the machine was powered up. If you are lucky (and quick) you can remove the old battery and insert the new one without losing all the stored uBoot variables. This of course assumes that your battery is not totally flat. On this occasion I had a spare CR2032 battery and was both lucky and quick and on power-up the Micro booted to Workbench as expected. The dead battery was the BR2032 variant and registered a mere 0.36V without any load. The new battery measured a healthy 3.3V. 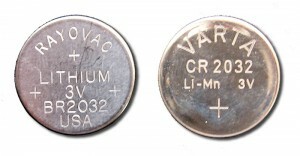 Most Lithium cells have a nominal terminal voltage of 3v however over time their voltage output isn't perfectly uniform. Because of the different design, the BR-type cell provides a more uniform voltage but near end of its life the terminal voltage drops rapidly. CR-cells however, exhibit a more gradual decline in voltage and may have a longer life in circuits designed to tolerate a wide range of terminal voltages. Although BR cells don't last as long, apparently they are better suited at sitting unused for long periods of time and can also operate at a higher ambient temperatures. So if your Amiga is likely to be off for long periods or you like to work in an oven then a BR cell might be a better option. However, they are more expensive than their CR counterparts. There is one major advantage of coin cells over the old 3.6v NiCd barrel batteries supplied in the big box Classic Amigas. Although not unheard of, whether it's the BR or CR models you rarely have to worry about leaking batteries eating away your precious mother-board. (see below for more details). Having confirmed the the Sil3112 card was faulty I noticed that the Micro A1-c only had the original 256 MB Apacer PC133 SODIMM Ram installed. Unfortunately, most early next-generation machines are extremely sensitive to Ram type and the Micro A1-C is no exception. 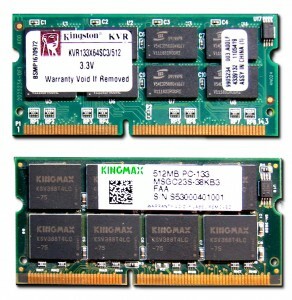 The Apacer Ram works well but I knew I had acquired some 512MB Ram modules which I had intended to try out. This included a Kingston KVR133X64SC3/512 and a Crucial CT64M64S4W75/512 Ram module which IntuitionBase reports are both compatible with the Micro A1-c.
Not all Ram is created equal? Having lost my original A2000 motherboard to a leaking NiCd battery several years ago and seen the damage caused to several A4000 motherboards I'm very sensitive to furry battery syndrome. 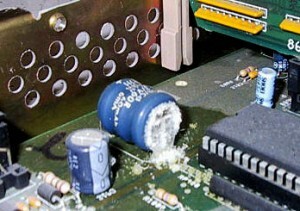 The white fur is caused by leaking battery fluid which is highly corrosive and can seriously damage your precious Amiga motherboard. This is a particular problem if you leave your Amiga powered off for long periods of time or you leave your machine in storage. To reduce the possibility of leaking battery damage it is recommended that, at the very least, you remove the NiCd battery from you classic Amiga. You can either de-solder the battery from the board or if your prefer just snip the 3 legs with wire clipper pliers to remove the battery. If you want to replace your original Amiga battery use either a NiMH variant or better still replace it with a Lithium coin battery kit such as those supplied by AmigaKit. These batteries are much less likely to leak and, in the case of the coin cell unit, make the battery very easy to replace in the future. 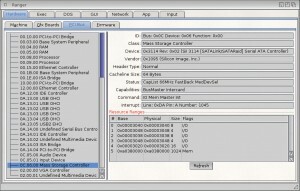 The problem is not restricted to big box Amiga owners. 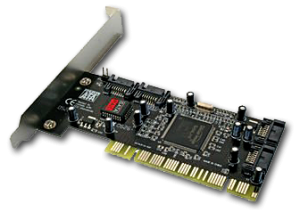 Plug-in cards, like the A501 memory card for the A500, also contain NiCd batteries and can suffer from similar leakage issues. 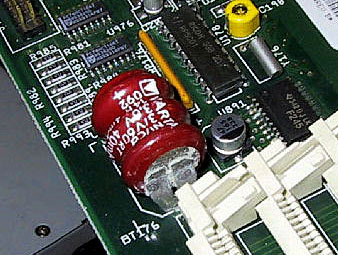 Don't take chances with your Classic Amiga hardware. If in doubt remove that old barrel type battery. 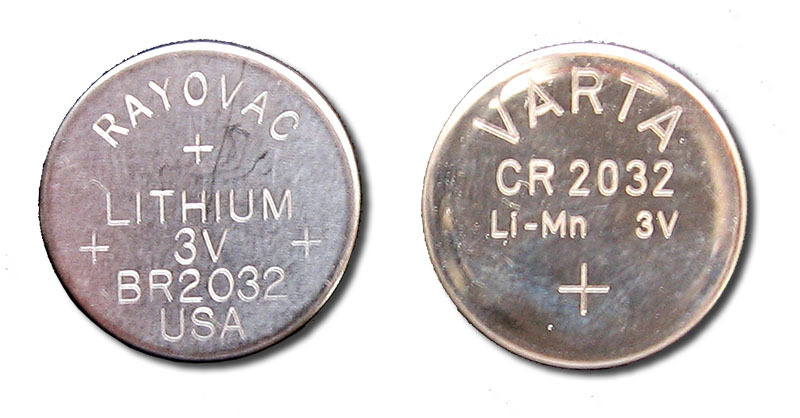 Note: If you do decide to install a Lithium coin cell remember they are not rechargeable. To prevent damage the battery kit supplied by AmigaKit contains a small circuit board. Without this fix your coin cell might just go bang! With Amiga Future about to publish it's 100th issue it won't be long before it overtakes the number of issues published by Amiga World, the first ever Amiga Magazine. All I can say is, long may it continue for many more years. Now what really did happen to..............? 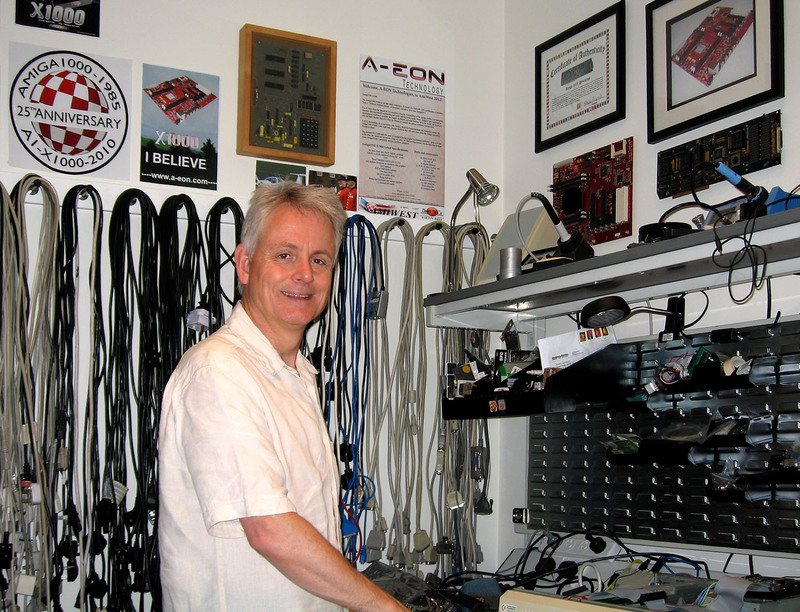 A1-X1000 betatester and Classic Amiga enthusiast Carl Moppett (JurassicC) has been putting his A1-X1000 to good use to save his company time and money and improve the service to its customers. Carl is an engineer with a large UK based Telecom company and has used his Amiga to streamline fault detection and analysis in its customer support group. According to Carl, digital TDM (Time Division Multiplexed) telephone exchanges, such as the Nortel DMS100 and Marconi System-X have been around since the late 1980's. Although they have evolved into multicluster units designed to handle today's massive call volumes, fault detection and tracking still has its roots in the late 1980's/early 1990's. Apparently there are thousands of these exchanges throughout the world, including the UK, Europe and USA, which are used by all the major Mobile and Fixed Line telecom providers. Telephone Exchanges are essentially huge computers running proprietary operating systems that pour out tonnes of logs for every little task they do. Consider an A1-X1000 set to serial debug level 10. Now imagine being able to set this debug level 10,000. Analyzing the sheer volume of serial debug data would be almost untenable. So all that logged data needs to be captured and processed in as close to real-time as possible. The logs need to be be sorted and prioritised and presented in a human readable format so that problems can be quickly identified to allow support teams to take the necessary corrective action to prevent or reduce service downtime. That is the massive task facing telecom providers. A single issue could go unnoticed in all the logged data resulting in a hardware failure that affects paying customers. It's a small (Amiga) world! .....and finally, all work and no play?